As cool as this seems, can anybody who's used this tell me whether or not it makes any difference to photo flow? I'm possibly being unimaginative, but I cannot see in anyway how this would be easier and/ or make workflow faster. Anyone interested in the Loupedeck should have a look at MIDI2LR. MIDI2LR allows you to control most of LightRoom's tools using any MIDI control board. A popular one is the BEHRINGER X-TOUCH MINI, which costs a whole USD$50. https://www.amazon.com/dp/B013JLZCLS/ Even better, the whole system is fully customizable, so you can assign whatever LR controls you want to the physical controls of your particular MIDI system. I spent a lot of time looking at the original Loupedeck, but it is rather expensive. After hearing about MIDI2LR in some comments, I tried it and have never looked back. Having physical controls is a HUGE speed boost, but there is no need to expensive custom hardware. Don't worry about MIDI hardware... most of these systems are USB based, and simple easy to setup and use. Right now, I'm using On1 RAW in lieu of LR....and Affinity Photo in place of PS. I would really like a physical controller for use with those apps. I've looked a bit into the MIDI thing....that Beringer unit, just from looks..appeared to be lightweight, plastic and cheap....just from appearances. If not, please let me know...for a control unit I'd want one solid that would sit on the desk and not move about ,etc. But I'm not up on midi that well...can it be set to control ANY part of an application, or do the apps themselves have to have an API open to allow the functions to be controlled externally...and if so, how do you find out which controls are available, and how to connect each physical controller to each on screen control? Anyway, if you have more info on how to make these units work with more software I'd really be interested. I'd really like to get one unit that I could map to say, ON1, Affinity...AND Davinci Resolve and FCPX....is there such a generic hardware beast that can be readily mapped to a number of different applications? One issue I found with MIDI controls is their range and granularity may not match Lightroom control ones. Something may be remediate at the software level, but I'd like a console which can take full advantage of LR (or other applications) settings. I am also not a midi expert, and I agree that the berginger x-touch mini seems a little limited. I am currently using and loving the arturia beatstep pro with capture one. I'm not aware of a direct midi to capture one like midi2lightroom, but you can use a midi controller with ANY software that allows keyboard shortcuts by using an intermediate program that translates midi to a keyboard shortcut. As to the question of do the physical controls make a difference, they ABSOLUTELY do. Not only is it more fun, I am editing MUCH faster. No more adjust white balance, then shift tint a little bit, then back to white balance because the tint adjustment effected it. Or highlights, then contrast, then highlights again. You can adjust multiple attributes at the same time, and it is fantastic! I see that Amazon does not yet list the new "+" version. The older version is offered at $179, however there were many complaints about the physical quality of the product in the reviews. I've been waiting for some quality improvements before I try Loupedeck, so I think I will give this new version a try when it eventually shows up on Amazon. As much as I use Lightroom, this could be a big time saver for me. Can a control unit like this also handle setting the adjustment brush and filters in lightroom? I find the LR slides hard to control, a small movement often causes larger changes than I would like. A mechanical system could be value depending upon how it is implemented and of course, the cost. I have owned the original for about 8 months now, and I find it invaluable for Lightroom. I ordered the new one the minute I saw the announcement. Here’s where it makes a difference. Think about your eye movements when you use Lightroom. You stare at a photo, and decide it needs an adjustment. Say, you’re going to move exposure up, blacks down, highlights down, tweak WB and so on. Now for each of those actions your eye needs to follow your cursor over to the panel, precisely hit a tiny little slider, and then your eye flicks back to the photo as you adjust, then back again (to check the number value even). Maybe you then slightly move the slider too far before un-clicking the mouse button. You now have to move your eye back to the slider to catch the slider again. Rinse and repeat. Let’s say you do 10 adjustments per photo, with probably at least 20 eye movements total per photo. Now imagine you just have a dial already in your fingertips for each of these values. You stare at the photo as your hands move about the dials, which you have memorized the location of after a few photos. Your eyes never leave the photo. Adjustments are done in about 10 seconds. If I really concentrate, I can cut down my editing time by more than half. This is for huge volumes of photos mind you- say 800 or more photos for a wedding. This is where this thing really shines. If you only do 1-2 photos at a time it is unnecessary. But more importantly to me, it has made Lightroom fun to use again. I pretty much hate editing and I see it as a chore. The Loupedeck has brought back a measure of joy that I can’t really put a price on. The buttons and build quality on the original sucked. I gave up trying to cull with it because one of the worst buttons was the right arrow key on my board. The buttons are wobbly and tightly fit, and would not actuate all the time, unless you hit it dead center (and got lucky). This would happen all across the whole board. As a result I would pretty much exclusively use the board for color corrections, and switch to regular keyboard for other things. Therefore I was never using all of the time saving features. The new board is using Keihl PG1350 Brown mechanical switches (per a post on their social media) which you can see a video of here. https://youtu.be/1P_ucdyi1ms I’ll find out when I get my copy, but I can already see after watching a few YouTube reviews of keyboards that use these switches, these keys will be a world of difference. Clicky, tactile and reliable sounds really dang good when paired with all the Lightroom shortcuts that Loupedeck brings to the table. Especially for a few of the buttons like arrow keys that will get used thousands of times. These switches are rated to 50 million actuations. Also, they claim the build quality overall is improved. That will be welcome. I will know in 2 weeks when I get mine. And then likely I will have an old one for sale, cheap. Here are two screenshots from their website. The L1, L2 and L3 buttons can be set to brush, gradient, radial or heal/clone brushes. Then the big control dial can be used to adjust brush size. I would say that you really only need one wheel to accomplish “most” of the practical effect. If you can find a “wheel” peripheral that lets you select a given value, then precisely control it. The Microsoft Studio wheel thingy comes to mind, and also Logitech came out with a media keyboard with a wheel recently. Of course both of those are either the same or far more expensive. I look forward to hearing more hands-on reports of the updated Loupdeck (I don’t need it but I’m a sucker for things with lots of buttons). I've looked at the Midi solutions, and the issues with them, so I finally bit the bullet and ordered the Loupedeck+. I have issues using my fingers to control fine movements of my mouse, so I intend to see how well it works. It is definitely a low cost solution to a editing deck, for video, you can spend a lot more. I'd agree with jdavidse's comments. I used the Behringer X-Touch Mini for a while to get a feel for the hardware-controller lifestyle and it definitely was an improvement, but still left a lot to be desired. It was never on the same level build-quality wise as controllers from the likes of BlackMagic for Resolve. I got the Loupedeck shortly after it was released and have since edited thousands of photos (weddings) on it. The keys (as jdavidse mentioned) are the biggest problem with the unit. They constantly stick and you have to hit them hard in the middle to make them work reliably. This makes culling tiresome (and I move back to my keyboard for that now). The actual photo manipulation controls are generally good, but some of the dials are starting to become less accurate now. The large crop and rotate button I always felt was unnecessarily big and didn't feel great. 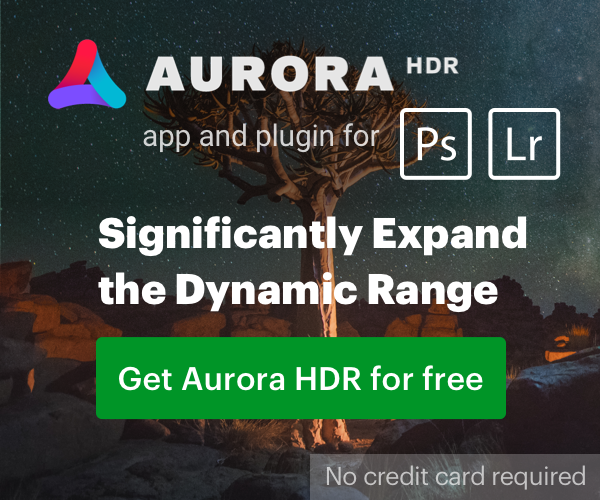 There aren't enough customisable buttons to control more niche parts of Lightroom (or control additional tools that are released in newer versions). With all that in mind, the new keys, better build quality and more customisation options of the Loupedeck+ should be very welcome additions. The final problem I've had with all Lightroom controllers is Lightroom. It's still too bloody slow. The addition of other photo editors gives me even fewer obstacles now to try alternative solutions. I'll post one after I get the new unit. I am looking for help for my finger issue, so my focus is on being able to edit the 5000+ recent images that have been taking forever because of my hand issues and decreasing ability to control a mouse. It costs in the same price range as some high end ergonomic mice, so I decided to give it a try. There will always be paid or influenced reviews, however, some reviewers have a good reputation for saying what they think. As always, reviewers may be looking at what they see as important, and not mention a feature that you see as a issue. Suprisingly, here is one of the better reviews I've seen, probably because it reflects my opinion of the device. But, if it helps with my finger / hand issue, then it would score high with me.